It is interesting that the diamond or diamond-like structures would occur from different people without any contact. 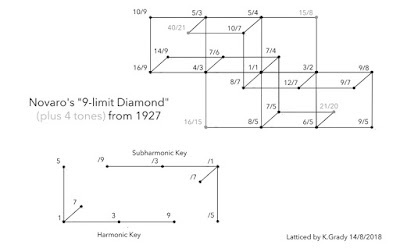 While Harry Partch gave us his 11 limit diamond in 1927, here Novaro provided us with his own 9 limit one. 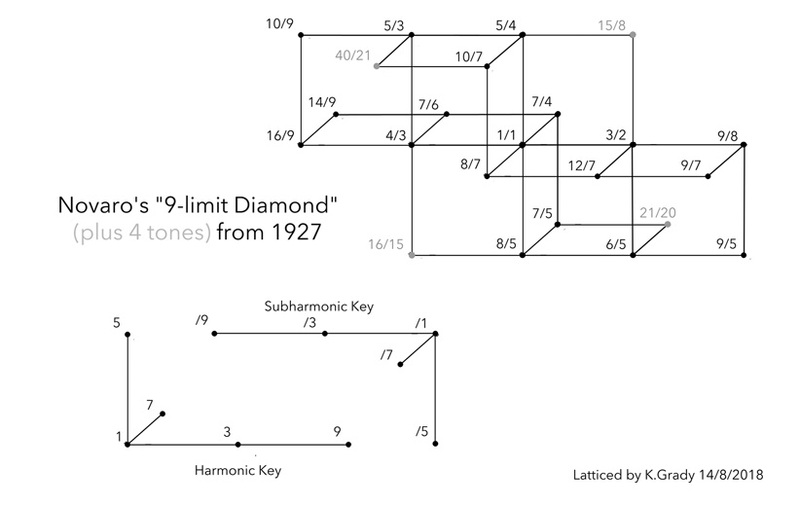 It is also worth noting that both of them inserted extra tones near the 1/1 to fill in the gap that is a common feature of diamonds and lambdomas in general.